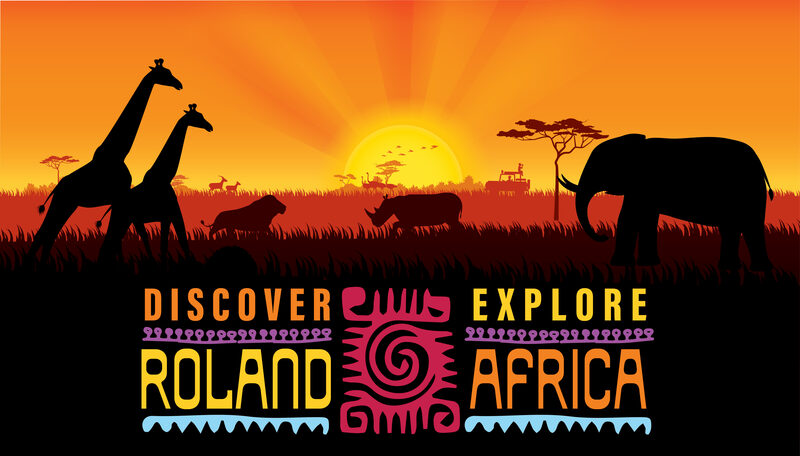 Schedule a demo of any new Roland inkjet printer & you could win an 11-day African safari for two, including airfare, accommodation, meals and guide. Just tell us what you discovered about Roland during your demo. It’s that simple! Whether you’re looking to start a business or expand one, Roland empowers your graphics production with a versatile range of UV curing and eco-solvent printers that are built-to-last and deliver consistently outstanding results. And for a limited time, when you come in for a personalised demo of one of our Roland inkjet printers, you'll be eligible to enter this amazing competition! The global contest will run between 10th October to 14th December 2018. To participate, entrants must live in Australia, be 18 years of age or older. 1) Book a personalised demonstration of one of our Roland inkjet printers. 2) Upon completion of your machine demo, Roland DG will send you a unique contest code. 3) To finalise your entry, visit the Roland DG Australia website to enter your contest code and tell us what you discovered about the Roland print solution in 285 characters or less. All entries will be judged based on creativity, passion and uniqueness, with one Grand Prize winner from all global entrants selected to receive the deluxe African safari for two. There will also be a local prize awarded to the value of $500. Visit the Roland DG Australia website for full terms and conditions or contact your local GJS sales engineer by calling 1800 457 888. *Conditions apply. Contest closes December 14, 2018. Entrants must be 18 or older to enter. The winning entry will be announced by email and made public on the Roland DG website. For full Terms and Conditions visit www.rolanddg.com.au/discover.